Klook Pro-Tip: If you’re coming from JR Shinjuku Station, take the East Exit for Kabukichō. 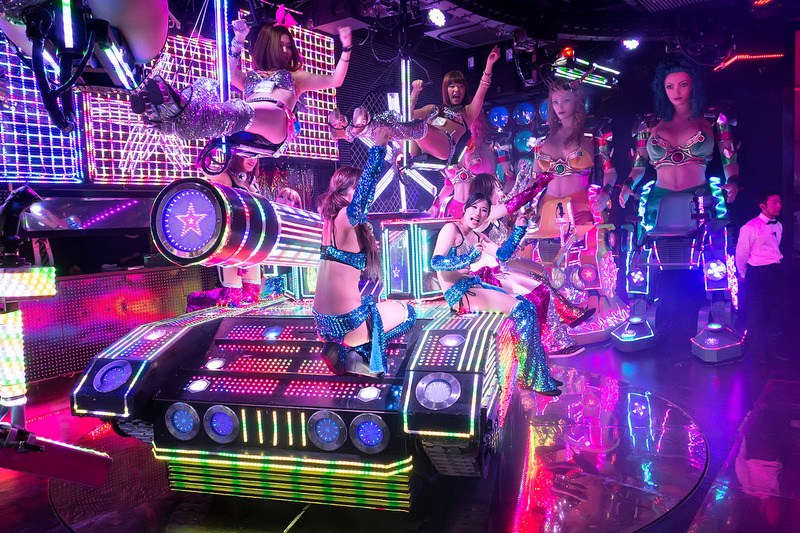 With Studio Alta in front of you, cross the street and walking any of the side streets to Yasukuni Dori (a street in Shinjuku popular for its neon lights). Finally, cross the pedestrian and you’ll spot a Family Mart Convenience Store and as we mentioned, the gigantic neon sign will give it away. 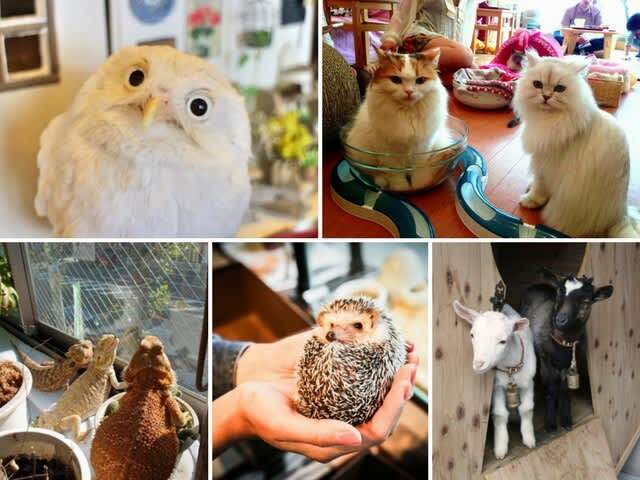 We suggest you purchase a Tokyo Subway Ticket or JR Pass for a better deal rather than buying per distance traveled each time you wish to take the subway. Tickets are available at their official website or head down to your hotel’s concierge to request for a ticket reservation. 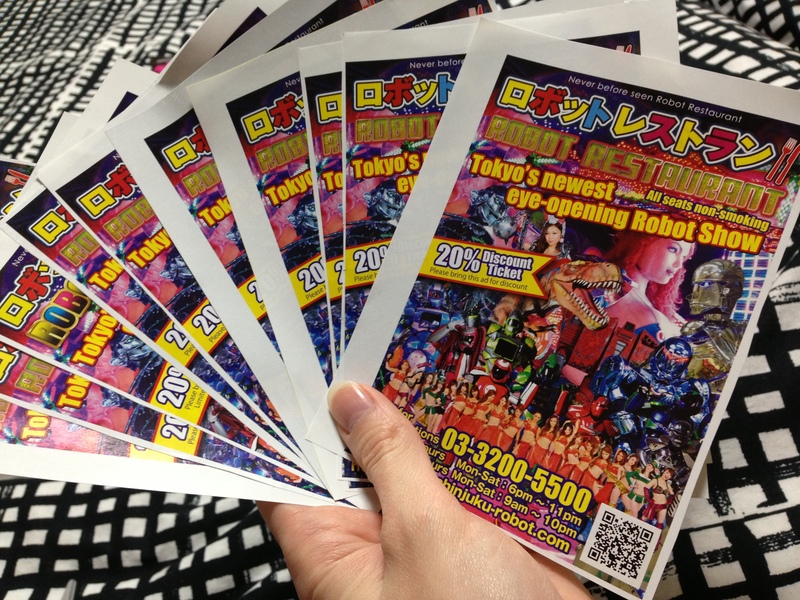 Either way, you purchase your tickets, you are required to redeem them at the ticket counter across the street of Robot Restaurant. 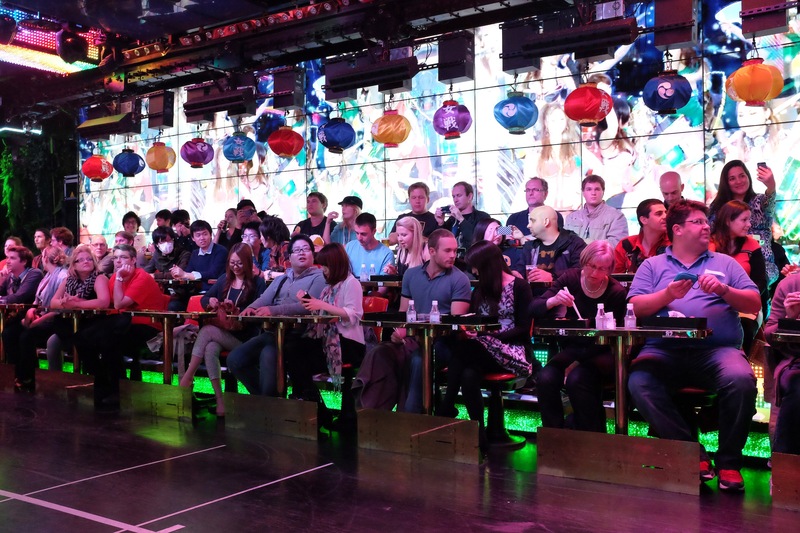 Klook Pro-Tip: If you’re reading this and deciding to take a spontaneous trip to the Robot Restaurant, check out with “ROBOT35” to take 35% off retail price via Klook and have them instantly confirmed with the mobile tickets sent to your email almost immediately. 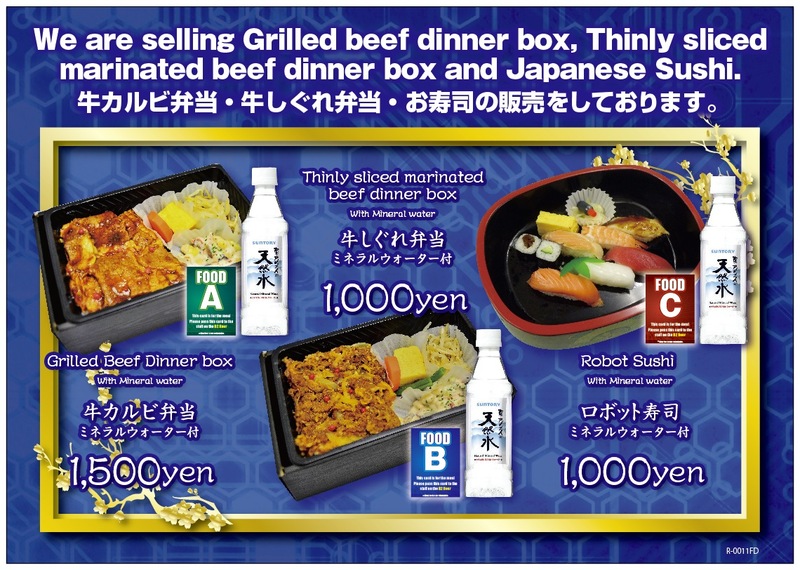 Klook Pro-Tip: You can always pay an additional fee to include a Bento Box Meal. We suggest having a meal before heading over because there isn’t much to choose from and the portions can be quite small. 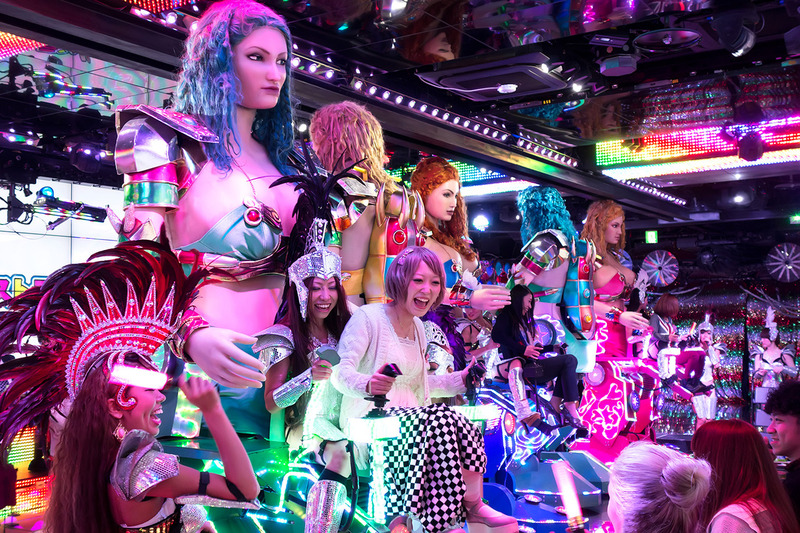 The Robot Restaurant is extremely Instagram-made in its own special way. WiFi might be weak because, in a room full of 120 people (if it is a full house), signal strength ain’t on a roll! 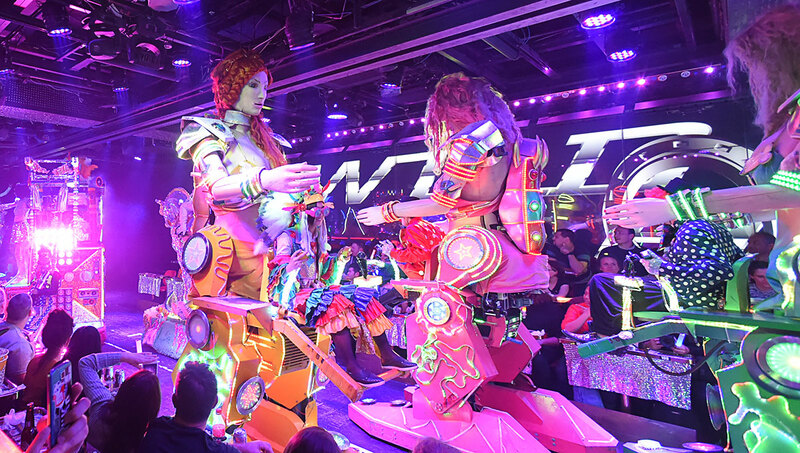 We suggest you get a Portable Wifi Device to keep you connected at maximum signal strength so you can bombard your friends with weird colorful robots. 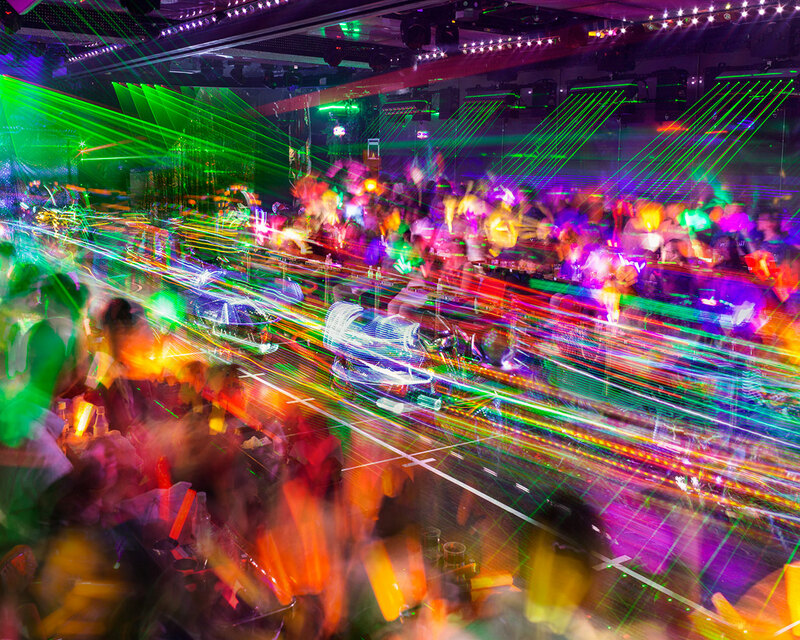 Multi-colored laser lights, flashy female dancers (don’t worry, it’s capped at PG-13) and odd-looking robots are all we can say. 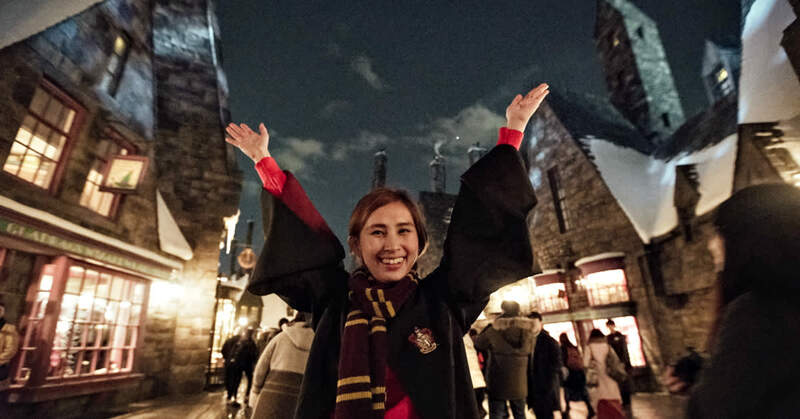 There isn’t much of a linear storyline and you probably won’t understand what you’re watching, but there’s one thing that we’re sure of – endless energy and lots of laughter! 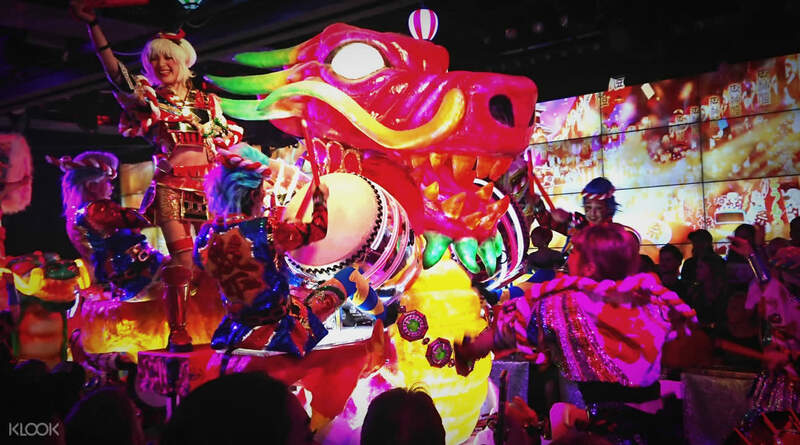 From drumming beats to mock battles between giant sharks and dancing horses, it’s seriously entertaining.